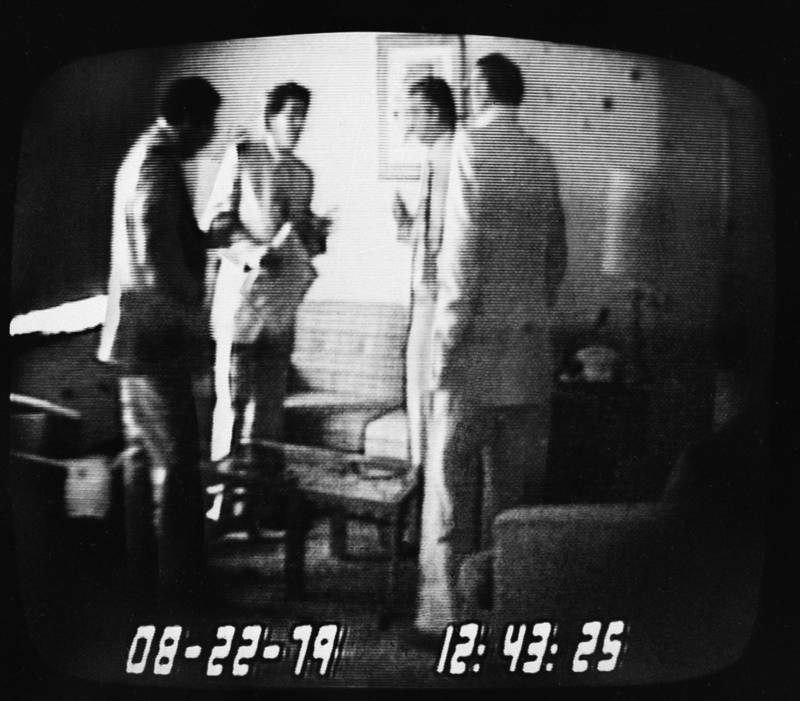 Surveillance image capturing ABSCAM in progress as U.S. Representative Michael Myers (second from left) holds an envelope containing $50,000 that he’d just received from undercover FBI agent Anthony Amoroso (left) while Camden, N.J. Mayor Angelo Errichetti (second from right) and con man Mel Weinberg (right) look on. Christian Bale (second from right) as Mel Weinberg, alongside Jennifer Lawrence (left), Elisabeth Rohm, and Jeremy Renner in American Hustle. 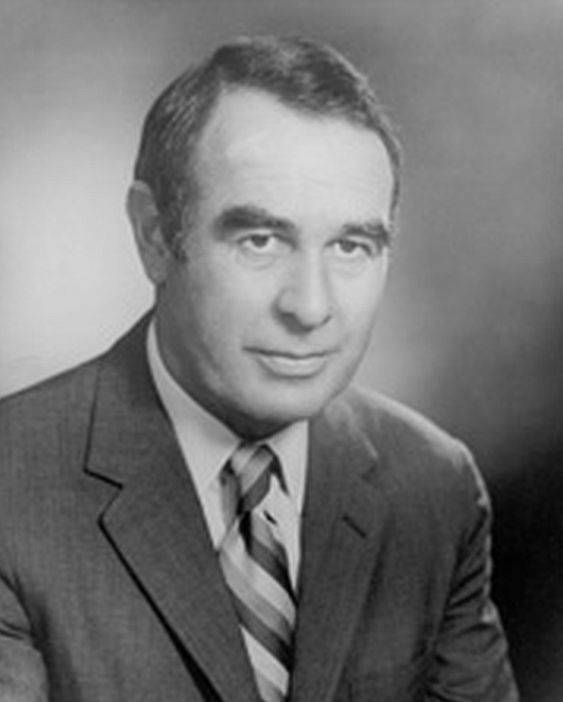 Senator Harrison Williams, one of the federal lawmakers convicted in connection with ABSCAM.